Ten Ton Hammer | Grumpy Gamer: TBBT, WTF!? A couple of weeks ago, when I made up a bunch of silly pictures for "How MMO Gamers See TV and Movies," the picture that got the biggest reaction was the one from "The Big Bang Theory." Apparently, MMO gamers - or at least Ten Ton Hammer readers - really hate that show. I'll be honest, I'm actually a fan of the show. It's funny, like how Revenge of the Nerds was funny. It's a broad caricature of things that interest me, and apparently the writers spend a lot of time getting the science bits just right. Unfortunately, they don't spend nearly as much time focusing on the various pastimes enjoyed by the main characters. They paint a lot of "geek culture" stuff with a very broad brush and get a lot of the details wrong. And while it's all well and good that the writers go out of their way to appease the scientists who might watch the show, it seems odd that they would be so sloppy about their approach to video games. Clearly, these writers have never encountered the hateful, abusive rhetoric of a typical MMO forum. 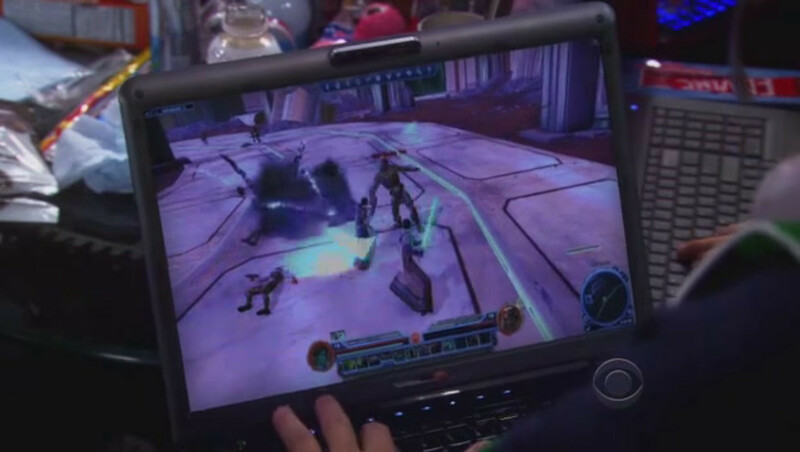 Here's a look at some of The Big Bang Theory's aggravating forays into MMO gaming and MMO-related "geek culture." First off, there's that infamous opening scene in season 1, where they are using World of Warcraft-like references for a game that is clearly not World of Warcraft. Sheldon plays a "Dark Elf ranger" who ninja-loots the "Sword of Azeroth" mid-combat, promptly leaves the dungeon and auctions the item off on eBay. This scene enrages gamers for a variety of reasons. First, there's no such thing as a "Sword of Azeroth" in WoW, but Azeroth is a setting specific to the Warcraft universe. That bit alone pissed a few people off and apparently filled Yahoo Answers with a lot of inquisitive seekers. And there are no playable races in WoW have prehensile tails - that sounds like some kind of Korean action-MMO F2P nonsense to me. Aside from that, the scene serves as a reminder for all those times we got screwed over in the exact same way - ninja-looting is not specific to WoW. People ditching groups at the worst possible time happens in any game. As for jerkwads selling high-value loot on eBay for actual cash, I seem to remember hearing about stuff like that happening when EverQuest first started making the headlines. The show returns to the WoW well in a later season, when Sheldon's account gets hacked. 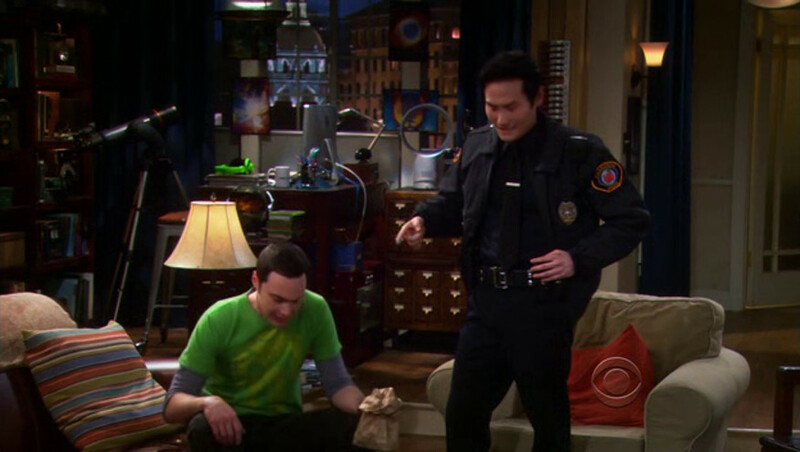 A great many details were fudged here - Sheldon would know that his weapons and armor are soulbound and would not be retrievable by apprehending the thief. And his Battle Ostrich "Glenn" would not have been sellable, because WoW mounts are not items but skills. Accounts getting hacked is actually fairly common - it happened to several friends of mine in the Lord of the Rings Online, and it's often enough to drive a player away from the game. Again, though, the writers demonstrate their complete lack of familiarity with the actual game by playing it out like it's some kind of "secret, underground" cabal of players dealing stolen loot on a black market. Wolowitz and Raj have some shady dealings with dodgy players in seedy in-game bars and trolls under bridges (because apparently the Three Billy Goats Gruff are WoW characters), and discover that the perpetrator, a teenager named Todd Zarnecki, lives only a short drive away. Every MMO player knows that ain't how it works. Account hackers are more likely employed by crooked gold-selling websites running out of the Far East. They sniff out passwords, log into the target account, strip out everything of value and vendor it (or possibly mail it, along with all the character's money, to a "hub" account for redistribution), and then delete the character. Fact: Those guys live in Chinese prisons, not two towns over from Pasadena. Everybody knows that. For my money, the sitcom that did WoW right was How I Met Your Mother. In that episode, Ted shows up at the bar with a girl he met online, who turns out to be a mental case. Later, it is revealed that their love connection happened in Azeroth, specifically in Stranglethorn Vale, where Ted was playing a scantily-clad human female and the crazy woman was playing a strapping draenai in plate armor. There is just something so incredibly "right" about the idea that Ted plays a bikini-clad female character. This isn't the most expansive reference to WoW, but everything about its use in the show just kinda fits. 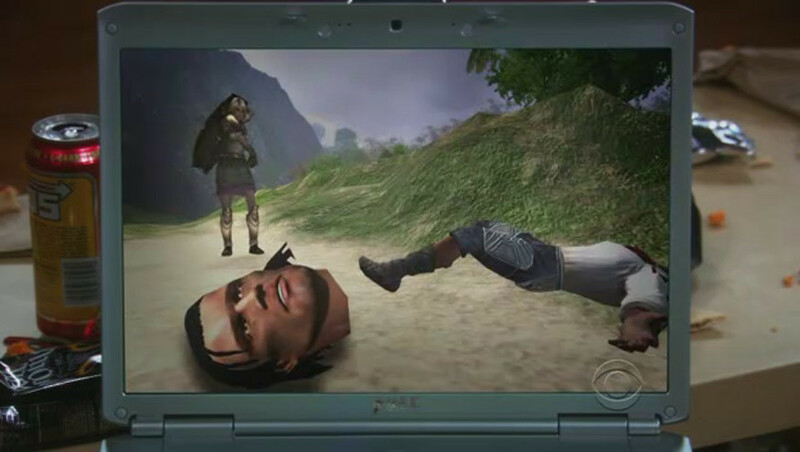 A season 2 episode has Penny becoming addicted to online gaming, with her drug of choice being Age of Conan. During her time in the game, she begins grouping with Hungarian barbarians who appear to be raiders. She is concerned about whether or not this is the right move for her character. 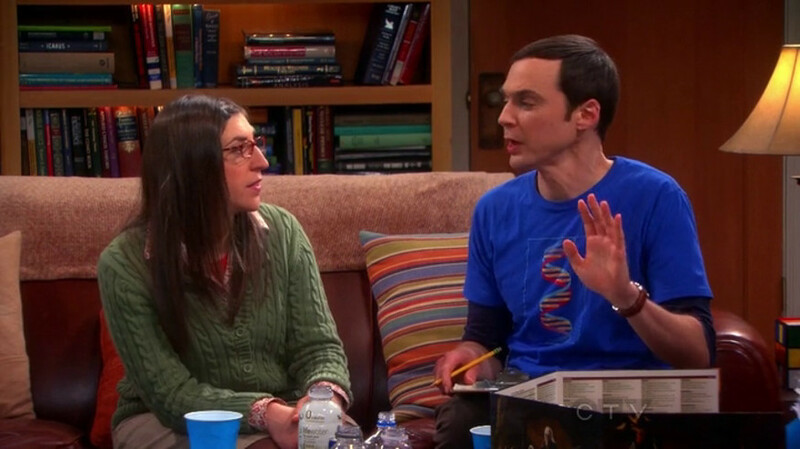 Sheldon warns her that these nefarious individuals are just using her as "dragon fodder." There are.. many issues with that one. To start with, AoC has plenty of European servers that would be more appropriate for Hungarian players than an American server would. Since Penny was introduced to the game by Sheldon, who has obsessive attention to detail, it seems unlikely that Penny would wind up on a European server by accident. I'm not terribly familiar with the actual gameplay of Age of Conan, but if it's anything like any other MMO ever, PvE raid groups don't typically invite useless, disposable players along as "dragon fodder." Characters dying in a raid or group instance is always a bad thing in my experience. This episode also shows a couple of scenes that might appear to be in-game footage to the untrained eye. Eagle-eyed MMO players, however, will recognize it as cheesy "machinima," with scenes captured from multiple camera angles. Again, I'm not terribly familiar with the actual gameplay, but I'm going to go out on a limb and say that annoyed characters cannot simply lop off the heads of bothersome PCs with a single swipe, and if they could, the severed head wouldn't likely continue talking. While the Big Bang Theory crew never delves into any specific titles like Dungeons & Dragons Online or Neverwinter, they do indulge in the tabletop progenitor of those games. 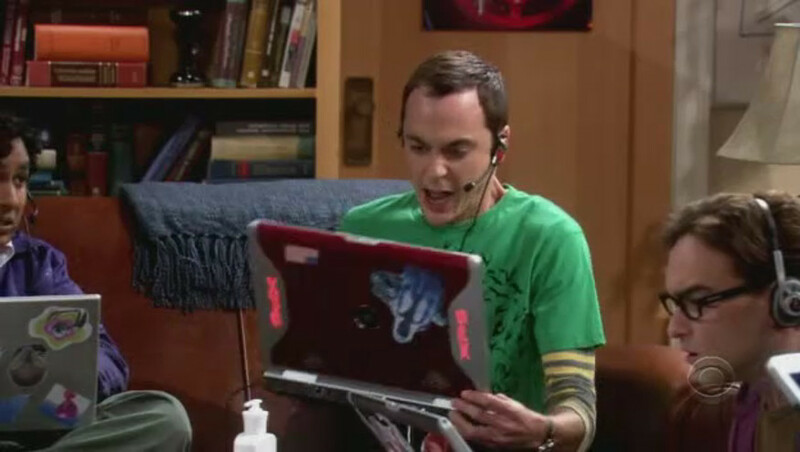 In one episode, Sheldon decides to use D&D dice and a notebook full of random charts to determine minor, every-day decisions in order to free up his mind for science-y things. His results vary. This was a minor sub-plot in a larger story probably revolving around Leonard and Penny. In another episode, a Christmas-themed D&D session with Leonard as the DM turns into an elaborate game of challenging puzzles, and ends up with Sheldon murdering Santa Claus. A third episode features yet another D&D session acting as a kind of therapy for Sheldon and Amy, who work out some of their bizarre relationship difficulties through roleplay. It ends up becoming quite intimate. 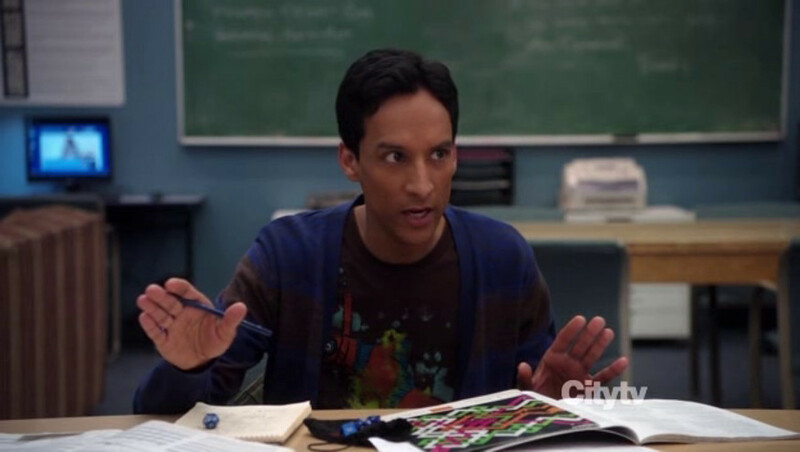 While the Big Bang Theory actually gets a lot of the details of Dungeons & Dragons right, and use it as a common theme throughout the series, they use it to illustrate what giant nerds the main characters are. It's a little insulting, really. The show that I feel did the most justice to the game is Community, even though they "fudged" some of the details for the sake of storytelling. The first epic Community D&D session - probably my favorite ever captured in popular media - was during the second season, where the game was used to help fellow student "Fat Neil" come out of a possibly suicidal depression, though their efforts are hindered by a jealous Pierce. The second appearance of D&D happened in season 5, where the gang used it to help Professor Hickey reconnect with his estranged son. Despite the dodgy details, the Community writers' love of the game shines through loud and clear - it doesn't feel like they are making fun of the players of D&D, like Big Bang Theory does, but are celebrating the game and showing it as a way to bring people together. 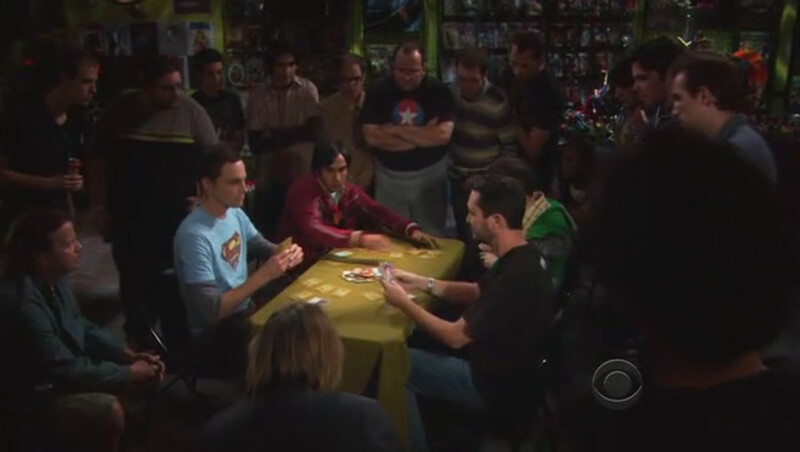 The Big Bang Theory guys play a lot of card-battle games. If you have a keen eye, you can see them playing one in the group shot in the opening credits in season 5. "Mystic Warlords of Ka'a," their go-to joke, started out as a parody of Magic: the Gathering or Munchkin. The game had at least 2 expansions in the series: the "Satanimals" pack and the ultra-deluxe collectors' edition "Wild West and Witches" pack, which the gang reluctantly bought. Sheldon, who has an eidetic memory, rarely plays the game because he finds no challenge in it - he always knows what cards are in which hand, which gives him an unfair advantage. He does use this skill in an attempt to humiliate his nemesis Wil Wheaton at a tournament, but this backfires when Wheaton tricks him with a "dead mee-maw" story. "Mystic Warlords of Ka'a" started out as a fake game invented just for the show, but at one point it was a terrible Facebook game for about a year, and then it shut down. Again, this game is used to lampoon "geek culture." It doesn't come across as a fond tribute to a beloved pastime, but as a mean-spirited mockery of hobbyists in general, played exclusively for laughs at the expense of the ridiculous nerds who enjoy it. While I personally have never played Magic: the Gathering, and have little love for most CCGs in general (except for a brief period around 2000 or so when I bought hundreds of dollars' worth of Star Wars CCG cards, which were new at the time and appealed to me as a Star Wars fan), even I find these references insulting and demeaning. Okay, credit where credit is due: I feel the Big Bang Theory actually did some justice to Star Wars: the Old Republic. 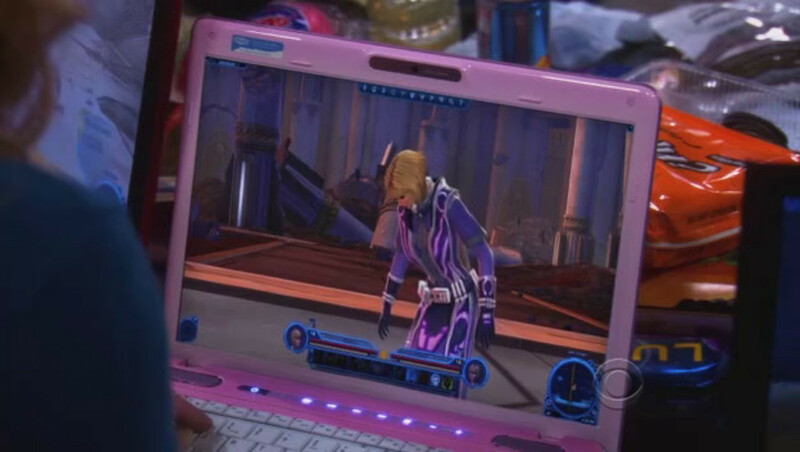 It hasn't been featured much in non-gamer pop culture, and the season 5 episode where it pops up features in-game footage, captured on the crews' gaming laptops. The crew decides to spend an entire weekend playing SWTOR, which conflicts with Sheldon's plans to go to a wedding with Amy. Being a giant Star Wars fan and also possibly mildly autistic, Sheldon decides to blow the wedding off to play the game. Wolowitz brings his fiancee Bernadette along, much to everyone's annoyance - she is clearly a noob, and rolls a healer (since they're playing Republic, and she and Howard are wearing matching purple robes, probably a Jedi Sage). As a noob healer, she tends to focus her healing only on Howard, and not anyone else in the group. It's a funny episode overall, and one of the first things I wrote on SWTORHUB was about it. They didn't fudge the details or show silly machinima cut scenes, and even the "Star Wars nerd" mockery was toned down some (the part where Penny and Amy couldn't tell the difference between Star Wars and Star Trek, I didn't find particularly insulting). Of all the MMO and "geek culture" references in the show, this one has been among the least offensive. Overall, I'm a fan of the show because I can relate to Sheldon's selfish childishness, Leonard's painful self-awareness, Raj's crippling shyness and Wolowitz's sleaziness. The evolving relationships are fun to watch and the science-y bits are neat. But it seems like the writers of the Big Bang Theory don't much like MMOs, D&D, hobbyists or intellectuals. People who are not intimately familiar with these microcosmic worlds might think the details and dialogue ring authentic, but those of us stuck inside watching the Big Bang Theory nerds make fun of it know otherwise. Got a least favorite Big Bang Theory moment? Share in our comments!